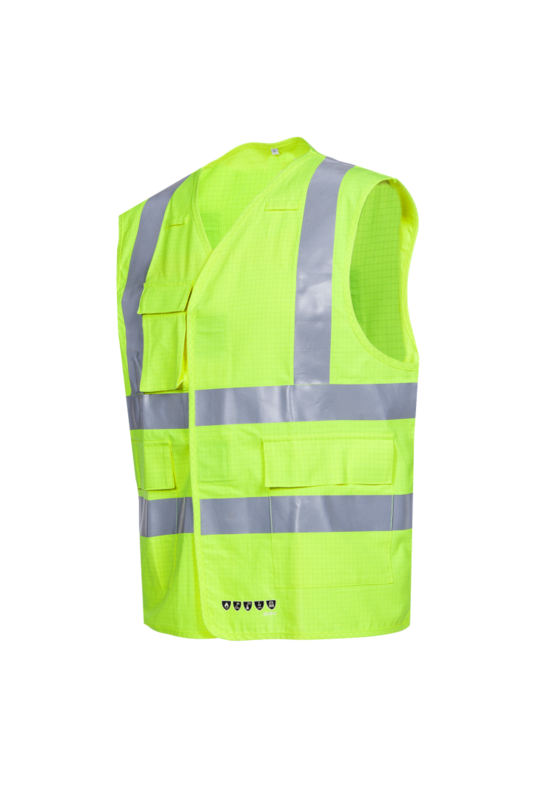 This flame retardant and anti-static hi-vis waistcoat is multifunctional. 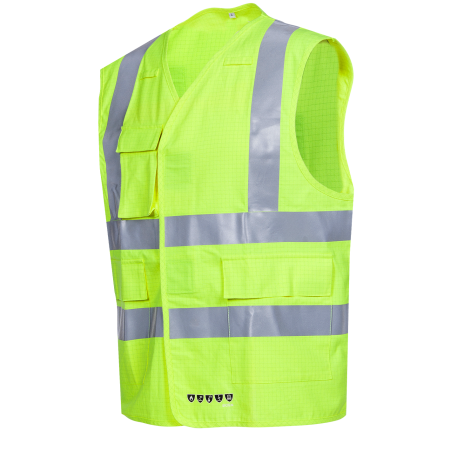 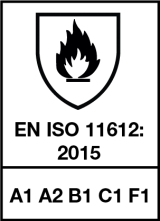 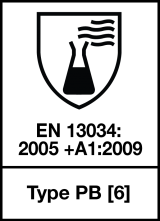 On the one hand, it protects you against flames, heat and liquid chemicals on the other, it increases your visibility with its reflective strips. 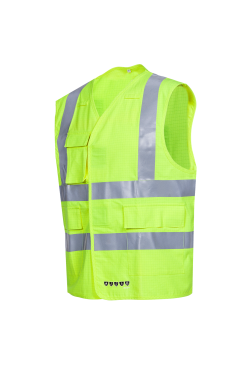 This Corato waistcoat is very practical with one patched chest pocket, two patched pockets and two loops for gas detection meters.